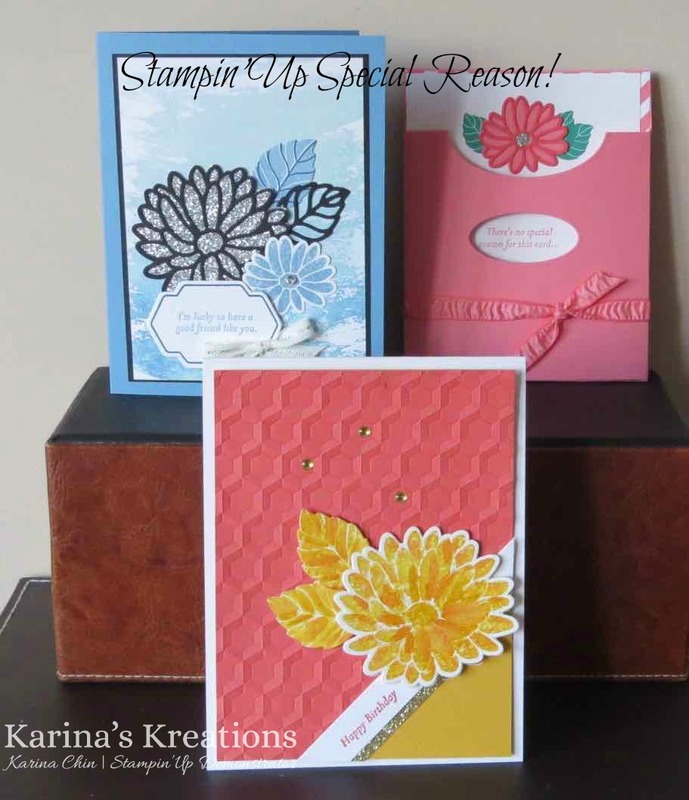 Karina's Kreations: Special Reason Stamp Set of the Month! 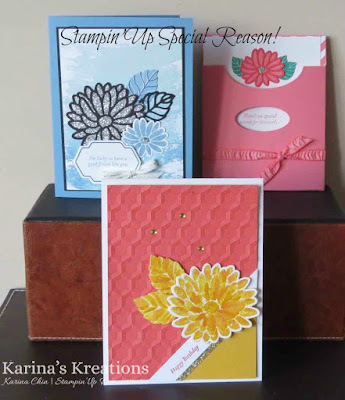 Special Reason Stamp Set of the Month! 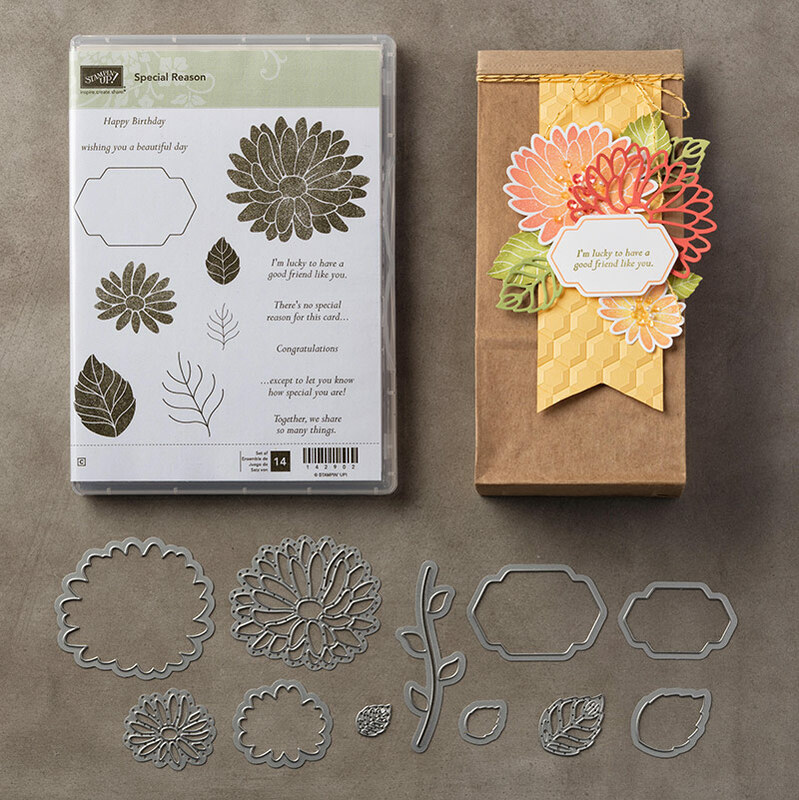 Do you like paper crafting at home? I run a special class called stamp set of the month and it includes a stamp set plus the product and instructions to make three cards. This month the stamp set is a Special Reason #144720. These are the cute cards. Two of the cards have a technique on them. The cost is $30.95 and you have the option to get the bundle for 59.25 add and adhesive to bring it over $60.00 and get a sale-a-bration item for free. Email me at kchin2@telus.net to get your kit in the mail.